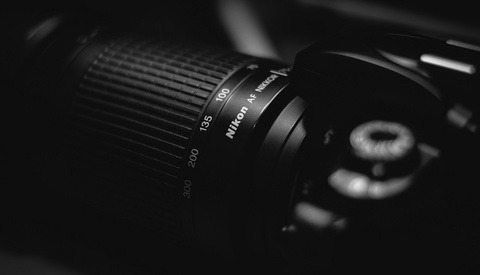 If you are looking to purchase a new camera, you have surely checked out a few camera comparison videos. In this video you will see some surprising conclusions. If you are in the market for a new mirrorless camera and you are not able to test out different camera brands yourself, then it makes good sense to check out some comparison reviews and videos. This video confirms some of my own thoughts on these two cameras. Before we go any further, if you have never attempted to do a camera comparison video before, it is extremely difficult to test all of the parameters. Especially if you are not familiar with all of the cameras features and settings which take some time to master. It is very easy to overlook a simple setting which could make a difference in the outcome of a test. 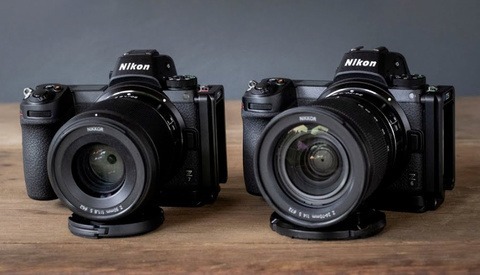 In this video featured in this article, I feel the two photographers have done their best to do a fair comparison between the Nikon Z 6 and the Sony a7 III given the time they had to compare these two mirrorless camera systems. The video is of very high quality and you may be surprised with some of their conclusions which are quite in-depth. I agree with some of their thoughts on both cameras but I won't spoil the test results by commenting on them here. I have tried to do a few camera comparison videos in the past and failed miserably. It is extremely difficult and it is hard to please everyone. I’m very hesitant to do them now and in my opinion they both did a pretty decent job of comparing some of the features of the Sony a7 III and the Nikon Z 6. 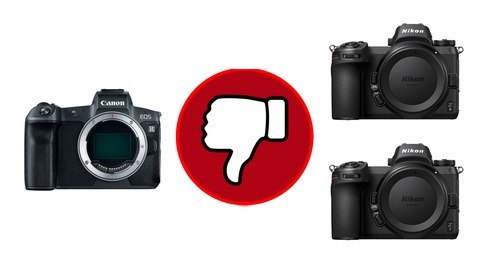 Which mirrorless camera do you prefer and why? Let me know in the comment section below. Very happy with my Z6 - 24-70 f4 Kit. Why would Jan Grau (who is a god photographer and uses Sony) )vote down all the comments where people are simply saying they love their Z6? An opinion that they like their cam is a vote down? I agree that the Z6 and Z7 are terrific. these guys doing this comparison are a joke. literally zero technical knowledge. Nikon doesn’t have any of the eye detection or face detection... wait what? Face detection is there. And works pretty well if you don’t try to shoot a huge group of people. A confirmed firmware update for May will bring eye detection and a much higher tracking in Z6 and Z7. It's kind of weird to compare the resolution and detail of 2 camera when using 2 different lens. The 50mm 1.4 Zeiss on Sony is almost 3 times the price of Nikon 50mm 1.8 S, even when I'm blind I would know Sony would win in resolution and detail in test like this. And on the AF test, it seems that they test the AF in different ways between Sony and Nikon: Eye-AF on Sony and normal AF on Nikon. That's kind of unfair for Sony in this case. Yeah I'm not sure I really trust this comparison. In the ISO performance portion, there is almost no color noise in the Sony image. It looks like it has had color noise reduction or...something done to it, especially when you compare it to the images in the DPReview ISO comparison tool, where the difference at 6400 onward isn't nearly as pronounced. The AF experience is also different than other videos I've seen of the Z6, and they didn't even realize the Nikon has face detection. And in the video portion the Nikon is oversharpened beyond what I would consider acceptable, like they didn't turn sharpening down to it's lowest setting, or they left the video profile on default. This has the veneer of a professional review, but I'm skeptical of it's validity. I wish you would give me a conclusion spoiler. I simply don't have 16 minutes to spare. They're both good. Sony seems to have less pleasant colors (but what's new on that department?). AF comparison isn't fair to either one (Sony used eye af, nikon used regular af. Surprisingly the Sony did worse). Sony seems sharper (but that's probably because of the expensive Zeiss lens used on it). Nikon's contrast seems better, but I don't know if they only tested jpeg or raw. Sony underexposed by 1 stop compared to the nikon at a similar metering. Interesting comparison. I briefly considered the Sony .... until the Nikon series was announced (I've been shooting Nikon since 1975) and I'm glad to see that Nikon's first generation is pretty much on par with the Sony. In the end, I went with the Z7. If I believed this video I probably would look at switching, but truth likely are only DSLR and Sony A9 and to some extent A7m3 is up to real action shooting with burst. I find this irritating and obnoxious because it's so clear that there is a hidden agenda. This is the worldwide conspiracy against Sony, believe me. Laughs. No it's just wrong to make stuff up. Maybe get yourself a Z6 and go shoot some birds, then laugh. Nikon is the clear winner. It has much better in hand ergonomics than the Sony. But that's just me. Tests are useless if the camera isn't pleasant to use. Just get both in your hands. Try to change a lens (than in the dark), try to find the flimmsy buttons on the A7III and press them hard to react. Honestly, the Sony is just a heap of scrap metal. Just an electronic toy which you can program with anything but the functions you really need to work properly. Get the Z6 in your hands and you feel that you hold a camera in your hands. Everything is where it belongs. No searching in the "menu". If there is anything good with the Sony than it's their lenses. Any time I see someone do camera comparisons using two different lenses, validity is thrown out the window. Not even worth watching.